After 41 joyful years of living here, the sellers are leaving the "empty nest". 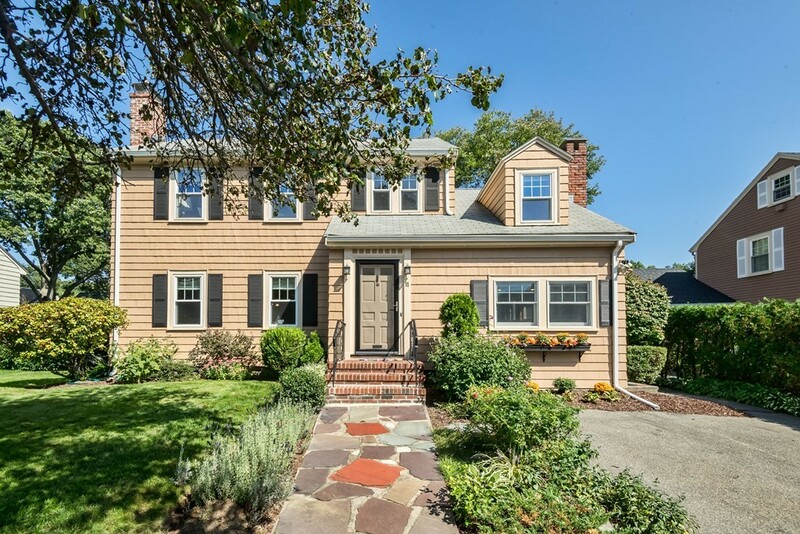 Situated on a centrally-located, picturesque cul de sac of comparable homes, this 9 room colonial has large open rooms, welcoming living room with fireplace, gracious dining room, family room with fireplace off the updated kitchen with double ovens/Bosch/Jennaire appliances and first floor laundry. Upstairs the second floor landing opens to four bedrooms and bathroom with whirlpool tub/shower. The walk up attic is a well insulated storage area with a thermostatically controlled fan that keeps the house cool. The semi finished lower level has a double cedar closet and is used as a work space but has potential for updated playroom. Outside enjoyment awaits in the extra large fenced yard ideal for recreation/entertaining. Short distance to commuter rail, downtown or beach.